Golden Healer (mostly 3") - 1pc. SPECIAL - Point Flower Medium (2" - 3") - 1pc. SPECIAL - Point Flower Large (3" - 4") - 1pc. Clear Quartz Flower Clusters (China) - These Clear Quartz Clusters from China are what we consider to be "A" grade because they have clear or cloudy color and usually good formations. Flower Clusters are also known as Celestial Quartz and they are quite unique quartz formations. This formation always has a central crystal, that is surrounded by many tiny terminations all over the body of the crystal. 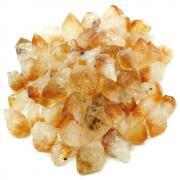 There are many different uses for Clear Quartz Crystal. Many crystal lovers use them for meditation, by either simply holding one in the hand, or by staring into a crystal until the meditator feels as if they've 'entered' the crystal. Cultures the world over have used Clear Quartz for various healing and religious purposes, throughout the history of humanity. 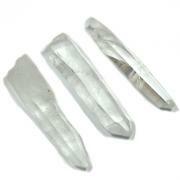 Some people wear Clear Quartz regularly to repel negative energy or to help with clarity of thought. Many people meditate with Clear Quartz to facilitate a connection with higher realms or with the higher self. 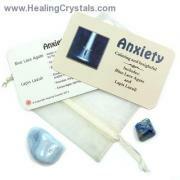 Still others use this beautiful crystal in grids for protection of an area or for specific programs. 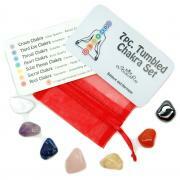 Clear Quartz works with all the chakras. The possibilities are virtually endless when working with Clear Quartz Crystal.